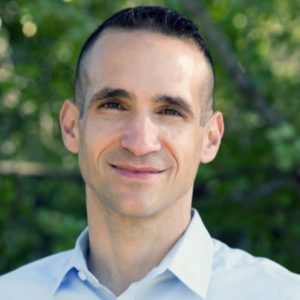 Hey everyone, in today’s episode, I share the mic with Nir Eyal, entrepreneur, educator and author of the best-selling book Hooked: How to Build Habit-Forming Products. Listen as Nir discusses the power of manipulation (and the two types of manipulation), the four essential elements that create a hook to forming a habit, why it’s not the best product that wins but rather the product that comes first to mind, and the three pillars necessary for every successful new product. He illustrates his concepts using Facebook, Snapchat and Twitter—key, successful companies who have mastered the art of forming habits. It is not the best product that wins, it is those that comes first to mind. Having a habit-forming product is not enough, you must also know how to grow, engage, and be able to monetize. Leverage the “network effect”—the more people that have access to that technology, the more valuable the technology becomes. Nir Eyal: Mark Zuckerberg's other major before he dropped out of Harvard was Psychology. He majored in Computer Science and Psychology. He knows what makes people tick and what makes them click better than the customers understand themselves. Speaker 2: Do you want to impact the world and still turn a profit? Then you're in the right place. Welcome to Growth Everywhere. This is the show where you'll find real conversations with real entrepreneurs. They'll share everything from their biggest struggle, to the exact strategies they use on a daily basis. If you're ready for a value-packed interview, listen on. Here's your host, Eric Siu. Eric Siu: Before we jump into today's interview, if you guys could leave a review and a rating and also subscribe, as well, that would be a huge help to the podcast. If you actually enjoy the content and you'd like to hear more of it, please, support us by leaving us a review and subscribe to the podcast, as well. Thanks so much. All right, everybody, today we have the bestselling author of the book Hooked, his name is Nir Eyal. Nir, how's it going? Nir Eyal: Great, thanks for having me on the show. Eric Siu: Yeah, thanks for being here. I know you have a lot of different stuff going on right now. Why don't you just first off tell us a little bit about who you are and what your story is? Nir Eyal: Sure. Let's see. I started my career, I guess, in the tech industry with a solar business. Then sold that one and went to business school. Then after that started in the gaming and advertising space. That company was also acquired. At the intersection of gaming and advertising, I learned a hell of a lot about how to manipulate people, so to speak. I don't say manipulation necessarily as a bad term, even though that word has a negative connotation. I think there's two types of manipulation. There's persuasion and there's coercion. Persuasion is helping people do things they want to do, and coercion is helping people do things they don't want to do. Coercion is clearly unethical. Persuasion, I think, is not only ethical, it should be encouraged. I think that's the amazing power of technology, is that it helps people do things they want to do. In my last industry of gaming and advertising I learned both. I had this vantage point of watching my clients and other people in the industry use both persuasive and coercive tactics. Thankfully, I didn't have to do anything coercive to my users, but I learned how other companies did. I wanted to codify what I'd learned into some kind of a workbook that people can use as they're building their businesses. There's a lot of psychology that goes into many of the products we use, particularly the ones we use habitually. When you think about products like Facebook and Twitter and Instagram and WhatsApp and Snapchat and Slack. All of these companies, the reason we check them hundreds, if not thousands of times per day, that's not an accident, that's by design. What I really want to dive into is to help explain how these companies do it so that all sorts of businesses, not just the social networks and the gaming companies, all sorts of companies can use the same basic psychology to help bring good habits to their customers' lives. Eric Siu: I know that you talk about having habit-forming products. What are some examples of Nir Eyal: Yeah, unless something breaks. There's a help email. That's happened maybe twice. I've used them in a year and a half, where there's some kind of recursive loop or something goes wrong. Then you have to call human help, but 99% of the time it's just a 100% bot. Eric Siu: Besides your book, what's one must-read book you'd recommend to everyone? Nir Eyal: There's so many good books out there. This is a tough question. Eric Siu: First one that comes to mind. Nir Eyal: First one that comes to mind was a book that I've been recommending for a while now, just because it's such a fun read, is the book Sapiens by Yuval Harari. Great. You've read it? Nir Eyal: Yeah, a really good book. I really enjoyed his writing style, very fun read. I've read it about a year and a half ago, so I felt like I kind of discovered it before Obama and Bill Gates recommended it. Obviously, I didn't discover it, but I'm happy that I somehow found it early and I think he has a great writing style. I just finished his other book Homo Deus, which is good, but not as good I thought as Sapiens. Eric Siu: Awesome. Speaking of books, you've written a bestseller, so this is a two-pronged question. First, how did you get into bestseller level? We'll go with that one first and then I'll ask my second one. Nir Eyal: How did you get to the bestseller level? You sell a lot of books in a short period of time. That's the basic math. I don't know. I have to say I've been trying to work on book number two and it's a lot harder, because I'm thinking through it too much. When I wrote Hooked, I never set out to write a book. I blogged for about two and a half years. After about two and a half years, I had enough content on my blog that I though, "You know what? Maybe I'll put this together into a little PDF and I'll give it out to free for folks and maybe it'll be like 20, 30 pages." It turned into 200 pages, once I compiled all these blog posts. I actually self-published. I didn't go to a traditional publisher at first. I went to Createspace, it's an Amazon-owned company that you just plop in the Word doc and it spits out a book. I put it on Amazon and lo and behold, it started selling! Not only that it started selling, it started getting good reviews. Then, a few months later, I got a call from a professional publisher and book agents, and they started seeing these reviews, kind of like how you lean start up something, you want to see if people actually want it. They de-risked the book in that they were seeing all these five star reviews at the time, and so that's when I got approached by a professional publisher and Random House picked up the book. They re-released it as this professionally published edition that you see today. Eric Siu: Got it. I know one other guy, he sold all the rights to the book. Did you sell all the rights to the book? Or did you retain a pice of it? How did that work out? Nir Eyal: I sold most of the rights. The English rights is what I sold to Random House. Eric Siu: Got it. Okay. Great. What has the book done for you so far? Nir Eyal: What has the book done for me? There's not much that I do today that's really scalable. I don't have a business, per se. There's no sellable asset to what I do. I speak, I write, I do some consulting, but unfortunately, if I get hit by a bus, there's nothing that carries on after me, except the book. The book is a form of media that is quite scalable. The words have been put down and that can continue to change people's minds, to help people build profitable companies. That's what's super satisfying, is that even if I'm not able to talk to all these entrepreneurs, all of the books that have been sold, hopefully, are helping them do the work that I would like to do with them in person, but I can't scale myself. Eric Siu: Awesome. All right. Nir, this has been great. What's the best way for people to find you online? Nir Eyal: Yes. My blog is Nir and Far. Nir is spelled like my first name, N-I-R NirFar.com and my book is called Hooked: How to Build Habit-Forming Products and that's available wherever books are sold. Eric Siu: All right. Nir, thanks so much for doing this. Nir Eyal: Thank you. It was a pleasure. Speaker 2: Thanks for listening to this episode of Growth Everywhere. If you loved what you heard, be sure to head back to GrowthEverywhere.com for today's show notes and a ton of additional resources. Before you go, hit the subscribe button to avoid missing out on next week's value-packed interview. Enjoy the rest of your week, and remember to take action and continue growing.